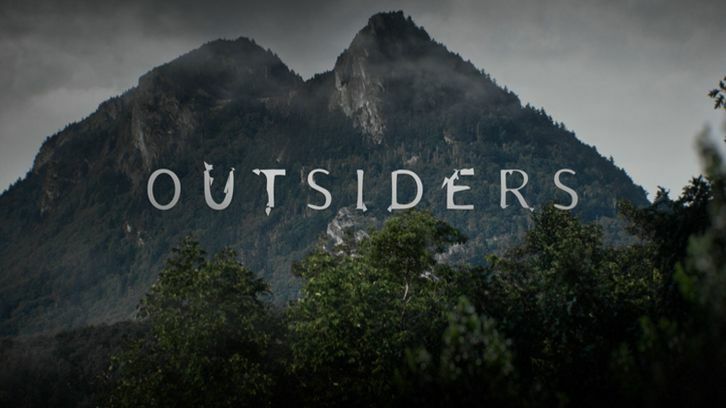 WGN America's addicting and compelling original drama, OUTSIDERS has been renewed for a second season, it was announced today by Matt Cherniss, president and general manager, WGN america and Tribune Studios. The hour-long series follows the struggle of the Farrells, an off-the-grid Appalachian clan, and their battle to defend their mountain and way of life from the town below and anyone who would dare challenge them. On Tuesday nights in Live + 7 viewing, "Outsiders" has averaged an impressive 2.8 million Total Viewers and 1.4 million Adults 25-54 season-to-date on WGN America. The series has boosted the network's primetime viewing by an extraordinary +42% among Total Viewers and +21% among Adults 25-54 year-to-date. Hailing from Sony Picture Television and Tribune Studios, production on season two is scheduled to begin this summer on the 13-episode order. "We are thrilled that 'Outsiders' has connected with fans in such a powerful and palpable way, and met our highest expectations on every possible level, thanks to Peter Mattei, Peter Tolan, our extraordinary cast, creative team and partners at Sony Pictures Television," said Cherniss. "We look forward to venturing up Shay Mountain in search of some Farrell wine for a second season." "It's been gratifying to watch the 'Outsiders' audience steadily grow as viewers continue to be drawn in and riveted by this double-edged story of a family fighting to maintain their traditions and way of life," said Zack Van Amburg and Jamie Erlicht, Presidents of Programming and Production, Sony Pictures Television. "We're looking forward to another season of masterful storytelling from our creative team, Peter Mattei, Peter Tolan and Paul Giamatti, and to continuing our prolific partnership with WGN America." Creator and executive producer Peter Mattei and executive producer Peter Tolan said, "It's a dream to bring this combustible mash-up of fairy tale, hillbilly gothic, epic drama, current headlines and good old mayhem to life. We are thankful to the extraordinary cast, crew and our supportive partners at WGN america and Sony Pictures Television, and the wonderful Farrell fans who tune in each week. We look forward to getting back to Blackburg and Shay Mountain and continuing this journey for a second season - ged-gedyah!" WGN America's "Outsiders" continues is strong performance week-to-week, growing its audience for the sixth episode, "Weapons," by +8% of its prior week gross audience among Adults 25-54 and +1% among Total Viewers in Live + 3 viewing. The episode exponentially expanded by +53% to 2,158,000 (vs. 1,412,000) among Total Viewers and +55% to 1,141,000 million (vs. 735,000) among Adults 25-54 in time shifted viewing across four airings. In an all-new episode of "Outsiders," "It's Good to be King," premiering Tuesday, March 15 (9:00 p.m. ET/PT) on WGN America, the clan mourns the death of Lady Ray as Big Foster declares himself the new Bren'in. G'Win is suspicious of Big Foster's involvement in Lady Ray's death as Big Foster concocts a plan to keep his enemies close, upsetting Lil Foster. Meanwhile, Sheriff Houghton gets trapped in a mine while searching for his son and Hasil is determined to reconcile with Sally Ann. WGN America's "Outsiders" will be featured at the 23rd annual South By Southwest Film Conference and Festival (SXSW), on Sunday, March 13 from 5:00 p.m. - 7:00 p.m. at the InterContinental - Stephen F. Austin Hotel. As part of the SXSW Film Happy Hour, fans of the hit series can meet the creator, writer and executive producer Peter Mattei and experience Farrell Wine for themselves. "Outsiders" is WGN America's third original drama, since the network launched its aggressive strategy to deliver distinctive programming of the highest quality. The provocative series is created and written by award-winning playwright Peter Mattei, who executives produces alongside Fedora Entertainment's Emmy(R) Award-winner Peter Tolan ("Rescue Me," "Analyze This"), Touchy Feely Films' Emmy(R) Award-winner Paul Giamatti ("John Adams," "Sideways"), Michael Wimer ("2012," "Rake"), and Dan Carey ("All Is Bright"). "Outsiders'" acclaimed ensemble cast includes David Morse ("Treme," "Hurt Locker"), Thomas M. Wright ("The Bridge," "Top of the Lake"), Ryan Hurst ("Sons of Anarchy," "Bates Motel"), Joe Anderson ("The Divide," "Across the Universe"), Gillian Alexy ("The Americans," "Damages"), Kyle Gallner ("American Sniper," "Veronica Mars"), Christina Jackson ("Boardwalk Empire," "Deception"), Francie Swift ("Hostages," "House of Cards") and Phyllis Somerville ("The Curious Case of Benjamin Button," "The Big C"). WGN America recently expanded its distribution to over 80 million homes with the addition of Cablevision in New York and is now available on every major cable system.